Hisham D. Aidi presents over a century of evolution in Muslim culture around the world, tracking both the local variations in the organic environments and the transnational movement of ideas. Rebel Music is a dialogue between disciplines and fields generally kept separate in public conversations. This dialogue creates the necessary space to examine the interplay between music and religion, especially for Muslim youth, both having been used to explain and blame community unrest. 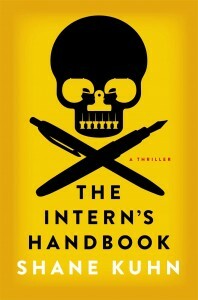 “Music has long been used by youth to protest, proclaim identity, build community, and interpret the world.” Through extensive interviews and retracing of musical trade routes, Aidi reminds readers how artists, theologians, and politicians at their best are distillers of public discourse, giving definition to conversations and constructing new community visions. Once that vision is constructed and distributed either through new policy, a sermon, or a hot new beat, it defines and again shifts the public discourse. Rebel Music then moves north, tracing the many connections made through the leaders and music of the American civil-rights movement, the mass conversion of African Americans to Islam, and the development of the Nation of Islam. Aidi includes how the movement was influenced by foreign born African Muslims, adding a rich layer to an otherwise well known narrative. He deftly tracks the many routes the movement created during the forties, fifties, and sixties through today. When the conversation remains within globally recognized movements, the reader is fixated on exactly where Aidi is about to draw the next narrative. However, when the conversation turns to lesser-known movements, as in the section evaluating Gnawa music, readers can be lost in the specifics and long narratives. For this reason, the last third of the book takes some work to move through. By blending and creating a conversation between otherwise unconnected fields of global music, religion, and politics readers without knowledge in one or more fields may also be lost in the complexity of the cross overs. Aidi omits in-text citation, obscuring whether his conclusions are based on well-supported evidence or his personal conclusions. This dramatically decreases the effect of Rebel Music to be used as a primary source for people working in the field. Further, by using whole page citations he obscures the source of claims made as facts. If he is presenting the book as academically sourced, listing key terms in the index, why did he chose not to do the same for his citations. If authors continue to use endnotes without in-text markers, notes will lose their usefulness and it will be harder to hold author’s accountable for their claims. Aidi parallels the diversity of thought and development of global Islam, with the globalizing effect and diversity of music as a vehicle for youth discourse. By comparing Brazilian engagement with European, North American and North African engagements, Rebel Music exemplifies how the community is as much impacted by religion, music, and politics as the community impacts them. 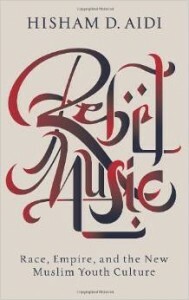 Rebel Music’s density begs for multiple readings yet can be a great read for people who are simply curious about the interplay of music, Islam, and local and global politics. The clear narrative thread never leaves readers stranded, bringing us through a global overview of race, empire and the new Muslim youth culture.